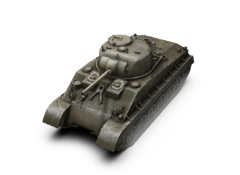 This tank was awarded to players who participated in Beta testing. It is essentially a heavier variant of the M4 Sherman. 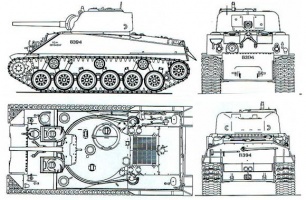 It sports decent mobility and a relatively acceptable gun for its tier, which has no problems penetrating light and most medium tanks but will struggle to penetrate heavy tanks. 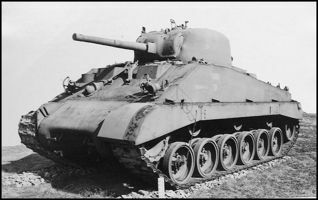 It also has straight-angled hull armor instead more rounded hull that the M4 Sherman has, resulting in more effective frontal armor. This page was last modified on 8 January 2017, at 13:33.